Just like last year Mommy wasn't planning on a Valentine's Day gift guide but I talked her into it by reminding her of all the cool things we find on Etsy! 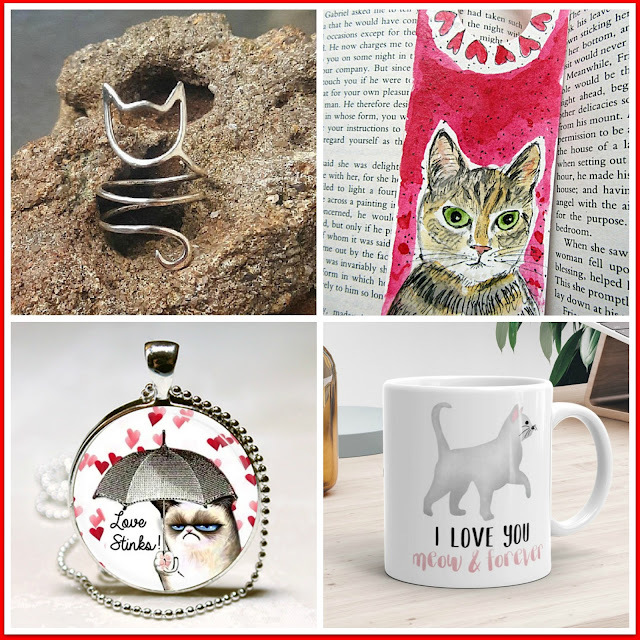 We've broken our picks into gifts for cats and gifts for cat moms, so there's a little something for everybody! I love your finds - I didn't see the mug when I went searching and think it's extra cool! The Mom says she wants one of those Grumpy Cat necklaces. You knows, my birthday is Feb. 18? Maybe if mes sneaks into the Mom's wallet and steals hers credit card and gets hers the necklace, hers will be so happy, hers gets mes an extra birthday prezzie! What do yous think, Mudpie? 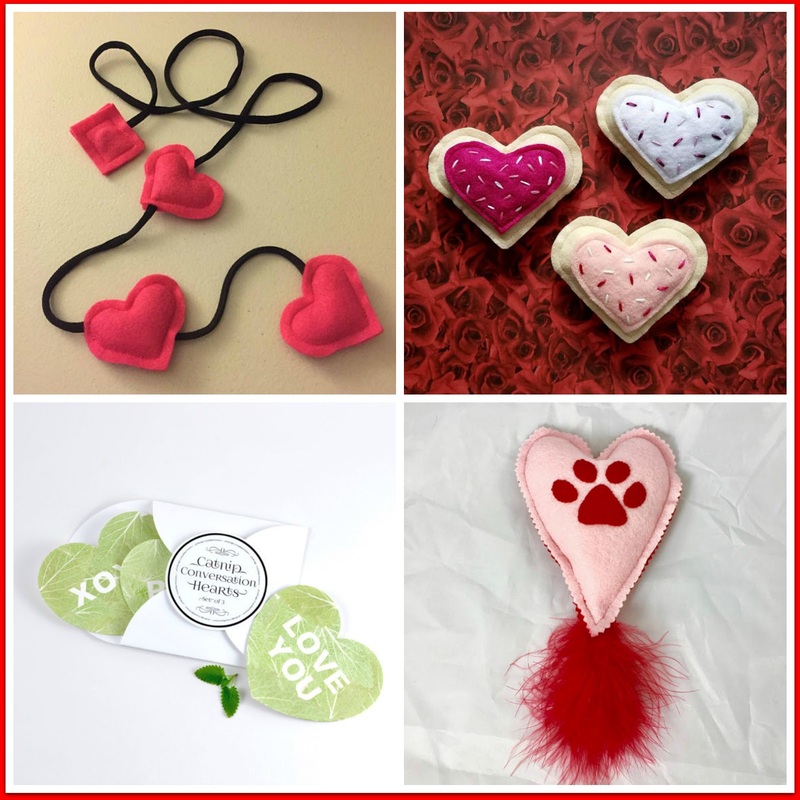 These things look pawsome for Valentines! These are all winners! Of course, we prefer the catnip ones the best. Oh, these are all so purrfect! Those catnip Valentines are such a cute idea. Thank you for sharing these, Mudpie and Melissa, and I'm thinking we'll be making some purchases! Oh, that Grumpy Cat is too funny!